Nice angle, and the architecture is just astounding. Good job Harry. (HK) Thanks for your compliments, Josef! 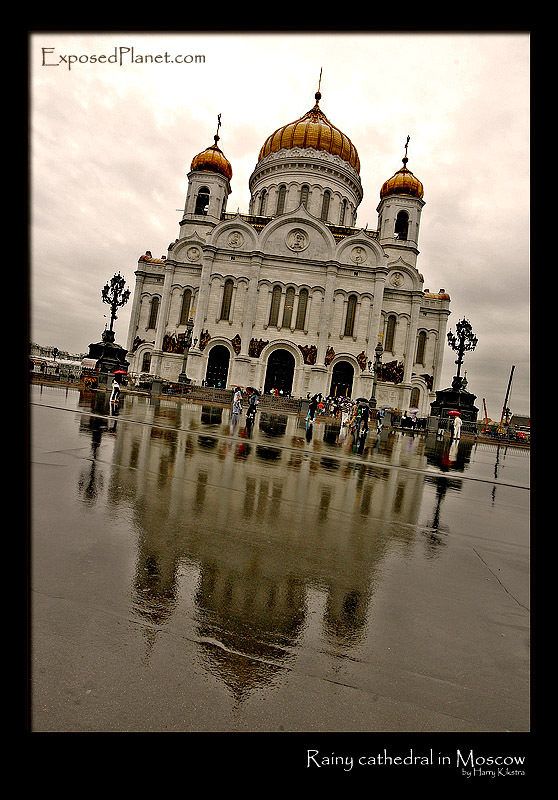 The story behind "Rebuilt Cathedral at Moscow river"
This is the Cathedral of Christ the Saviour (Russian: Хра́м Христа́ Спаси́теля), the tallest Eastern Orthodox Church in the world. It is situated on the bank of the Moskva River, a few blocks west of the Kremlin.